Charles Holloway became director on June 24, 2016. Mr. Holloway provides strategic guidance to teams and managers in ways that promote the company’s culture. He also oversees the progress of operations. He develops efficient strategies and tactics to ensure that all programs deliver the desirable outcome to MDNG Freestate ChalleNGe Academy. Charles Holloway became the Program Coordinator/Deputy Director of Freestate ChalleNGe Academy in July/2014. During his time in this position he was able to implement vocational trades training. He was responsible for the smooth operation of the program and oversaw various departments. Mr. Holloway also worked directly with Cadets to insure their needs were met. In addition to his position with Freestate, he coached at risk youth little league baseball as well as mentored juveniles in an addiction unit. Mr. Holloway also formed a nonprofit organization that focuses on total rehab for ex-offenders (Project M.E.N.D – Moving Ex-offenders in New Directions.) His mission is to help at risk youth succeed. June/2010 Mr. Holloway worked as Assistant Director of Education at The Youth in Transition School. 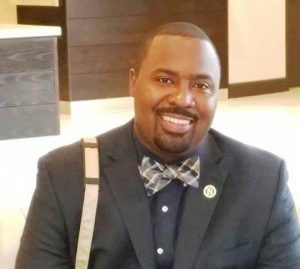 Mr. Holloway attended Coppin State College where he studied Secondary education with a focus on history and graduated in 2007 with a BS degree. In 2007 Mr. Holloway worked with at risk youth at the Good Shepherd Center where he taught Social Studies. In 2009 he was promoted to Administration. Charles graduated from Edmondson Westside Senior High School. On Oct. 2, 1995, Mr. Holloway enlisted in the United States Marine Corp.
Mr. Holloway is also a proud member of Omega Psi Phi Fraternity Inc. where he continues to provide service to the community.